KATHMANDU, Dec 13: While the prime minister and other ministers repeatedly claim that the government is ready to hold all three elections -- local, provincial and national, none of the nine election-related laws are ready. 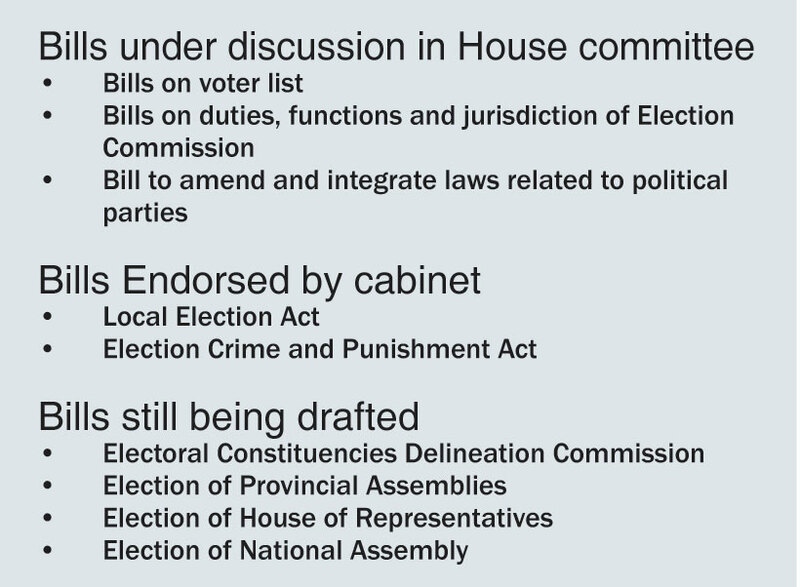 The government drafted five election-related bills in the last 15 months after the promulgation of the new constitution. According to the constitution, the three elections must be held by January 2018. The Election Commission has clearly said that the government must make all the election-related laws ready at least four months ahead of the election. As the government has been saying that local elections will be held by April, the laws on voter roll and local polls must be ready by the end of December. 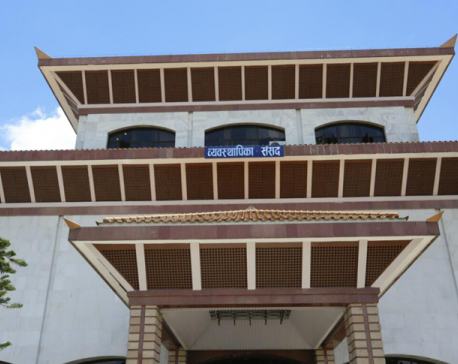 The parliament's snail-paced work has also hindered the process of endorsing some urgent election-related bills. The House forwarded three bills related to voters list, rights and jurisdiction of election commission, and a bill related to the political parties, to the State Affairs Committee (SAC) of parliament. But the committee, in the last one month, has done nothing more than holding a round of discussion on the bills. On November 25, lawmakers at an SAC meeting had suggested forming three separate sub-committees to finalize the bills. But the committee's chairman Dil Bahadur Gharti hasn't convened any meeting to form the sub-committees. “We should take enough time so that the bill will have no flaw. The bills under discussion in the committee are less important for holding the local elections, as the government has yet to ready other bills which are more important for holding local elections,” argued Gharti. He further said that the committee can forward the three bills to full House only after resolving disputed provisions in the bills. Gharti argued that the committee couldn't focus on the election-related bills as lawmakers were busy in other parliamentary activities. Contrary to his argument, House business doesn't overlap with the committee's schedule because full House sittings these days take place only after 1 pm with a view to letting the parliamentary committees focus on finalizing bills which are important for the implementation of the new constitution. Minister of Law Justice and Parliamentary Affairs Ajay Shankar Nayak said that dillydallying by the House committee in finalizing the election-related bills has left him disappointed. “We had endorsed the bill on setting up high court within three weeks after the bill was registered in parliament secretariat. But the House committee's sluggishness with regard to the election-related bills has made us disappointed,” said Nayak. He, however, claimed that none of the elections will be postponed due to the delay in endorsing the bills. "We can endorse bills even within 10 days if the parties agree on election date,” he claimed. Minister Nayak further informed that the bills related to the local polls and election crime and punishment will be registered in parliament within a few days. The cabinet endorsed the election crime and punishment bill on Sunday. Local polls bill was endorsed by the previous meeting of the cabinet. Asked about the status of four other election-related bills, spokesperson at the Ministry of Home Affairs Balkrishna Panthi said that the ministry has been working on the bills on a war footing. The ministry has been revising the draft of the bills prepared by the Election Commission on the Election of Provincial Assemblies, Election of House of Representatives and Election of National Assembly. The ministry itself has been preparing the bill on the Electoral Constituencies Delineation Commission.